A recent inspection of two Lancair 360s, one under construction and one that had previously flown, revealed missing structural bolts in the main spar assembly. 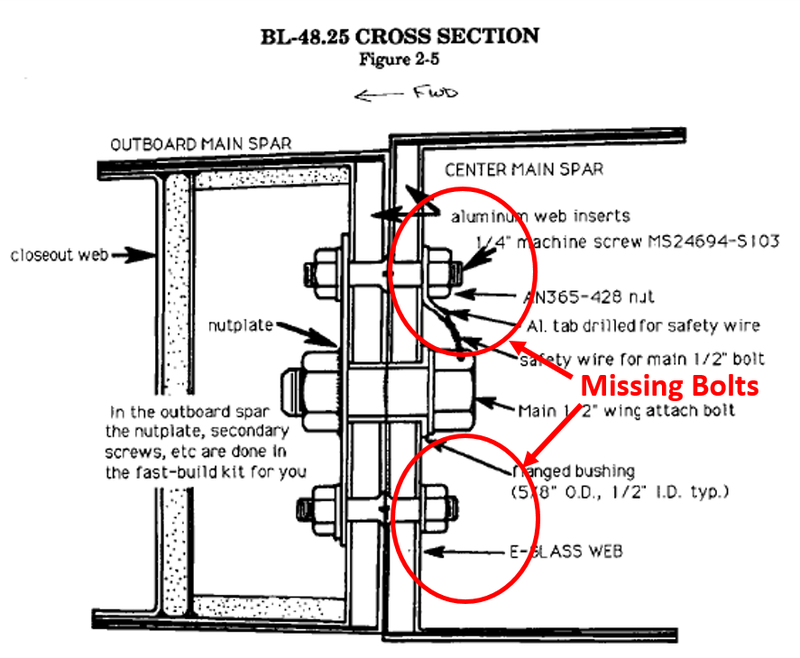 These are ¼” bolts adjacent the outboard ½” diameter main spar bolts (see Figure2-5). These two smaller bolts are used to transfer shear loads from the fiberglass web into the aluminum insert, which was not treated for bonding during manufacture. Having reviewed the structural calculations for the airframe, the load bearing capability of the spar depends on the presence of both bolts. Since the bolts and bushing are only transferring shear to the 10-ply fiberglass web, bolt location is somewhat flexible. NOT DRAWN TO SCALE; WEB IS THICKER THAN SHOWN. Neither of the two new owners was aware of the missing bolts. One of the two spars was marked for drilling, but the bolts were never installed. 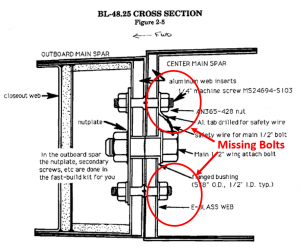 If you did not build your aircraft and/or are otherwise unsure if these structural bolts were installed you should check as soon as possible. They are easy to see from the wheel well, even on a fully assembled aircraft. For comments/questions on this article contact Chris via email at %20chris_zavatson [at] yahoo.com (chris_zavatson [at] yahoo.com).